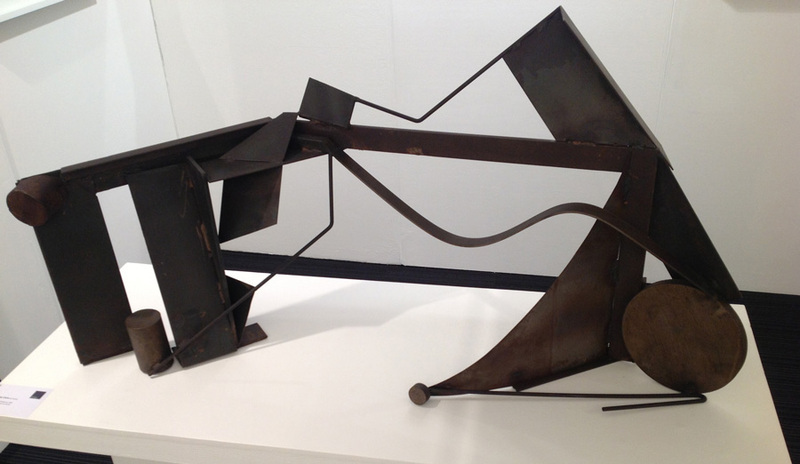 Anthony Caro was born in New Malden, Surrey in 1924. He was educated at Charterhouse and Christ’s College, Cambridge where he gained a degree in engineering. After time in the Royal Navy, in 1946 he studied sculpture at the Regent Street Polytechnic and then at the Royal Academy Schools from 1947 – 1952. He worked as a part-time assistant to Henry Moore in the early 1950’s, but after meeting David Smith in the early 1960’s, he abandoned his earlier figurative work and started fabricating sculptures by welding or bolting together steel plates, beams and meshes, often incorporating found prefabricated objects. He held a landmark exhibition at the Whitechapel Gallery in 1963. He taught at St Martin’s School of Art from 1953 – 1981, influencing and inspiring a generation of abstract sculptors. 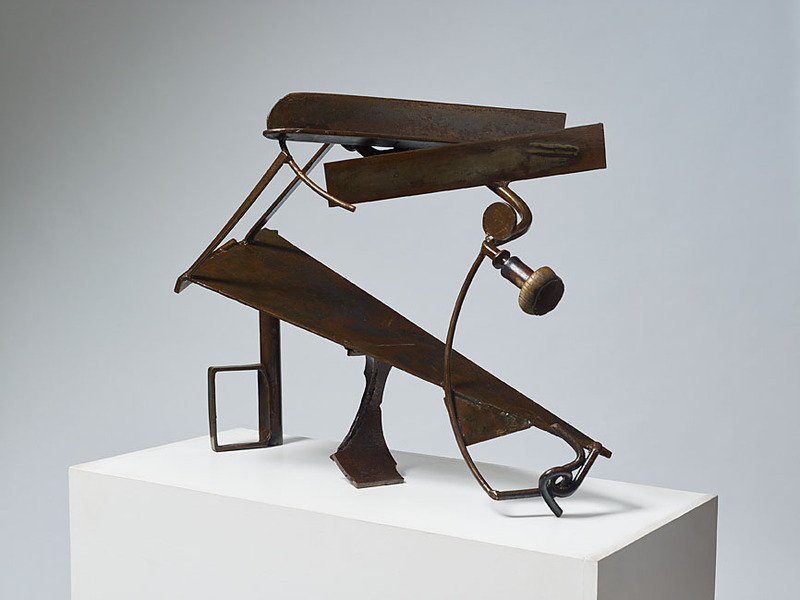 Caro’s work has featured in museum and commercial galleries’ exhibitions worldwide for the past five decades; a retrospective to mark his 80th birthday was held at Tate Britain in 2005, and in 2011 the Metropolitan Museum of Art in New York installed five works on their roof top. He was knighted in 1987, and received the Order of Merit in 2000.